I was fortunate to finally have the chance to run in a new area yesterday. With a week off of work and absolutely gorgeous mid-60’s weather, I have loved my late morning/early afternoon runs! 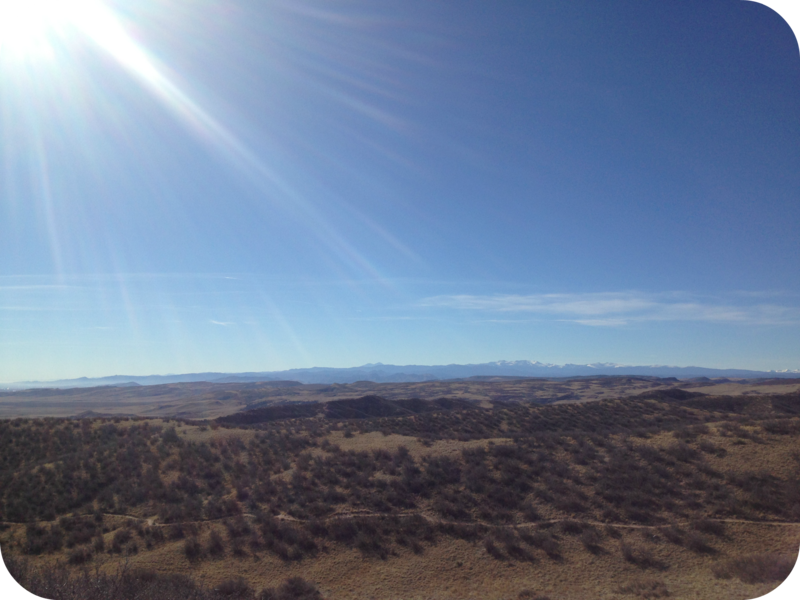 And with that, I headed northwest, about 30 miles, to the Soapstone Prairie Natural Area. Keep in mind that I’m already living a mere 20 miles from the Colorado/Wyoming border. Soapstone Prairie offers over 50 miles of trails, some of which extend into Wyoming. This is the ideal area for train runners, hikers, bikers, and equestrians; single track trails over rolling hills, arroyos, and grasslands. As a natural area, there is a great opportunity for views of wildlife, including rattlesnakes (which I didn’t see). Due to the preservation of the area, dogs are not permitted. At all. Not even to hang out in the car. Chase was none too happy with me. Since I was brand new to the area, and my cell service was sketchy, I stuck with my simple plan of running a 3 mile loop. I wanted 6 for the day, so I determined to run it twice, even if another trail looked oh-so-tempting. See, I have this problem of going “off-track” based on what I’ve told the boy I’ll run. “Off-track” has come to mean many things, namely “lost” (even though I find my way back to where I want to be). He’s gotten nervous a time or two and has been known to come and look for me (he’s sweet like that). So, I’m trying to be better about sticking to my plan when running solo, even when I don’t want to. Driving 30 miles northwest, and primarily on dirt roads, lends itself to a fairly desolate trail. It was all mine, save for one truck at the trailhead, and it’s owner I passed in the opposite direction in the first half mile. I’m not gonna lie. I haven’t run trails since this summer and it totally did a number on me. I mostly sure it was the hills. Probably that mile incline initially! But once I regulated my breathing, slowed down, and found a rhythm, I was loving this trail! The views, the solitude, the hot sun in the middle of November. I’m happy to have found a new running location. When my trail mileage gets up higher, this would be an ideal place to go for long trail runs since there are so many trail/distance options. And given my potential 50k choices for late spring, the terrain should mimic the course perfectly. TOMORROW: Turkey Day 10k and my first race as a Oiselle runner! 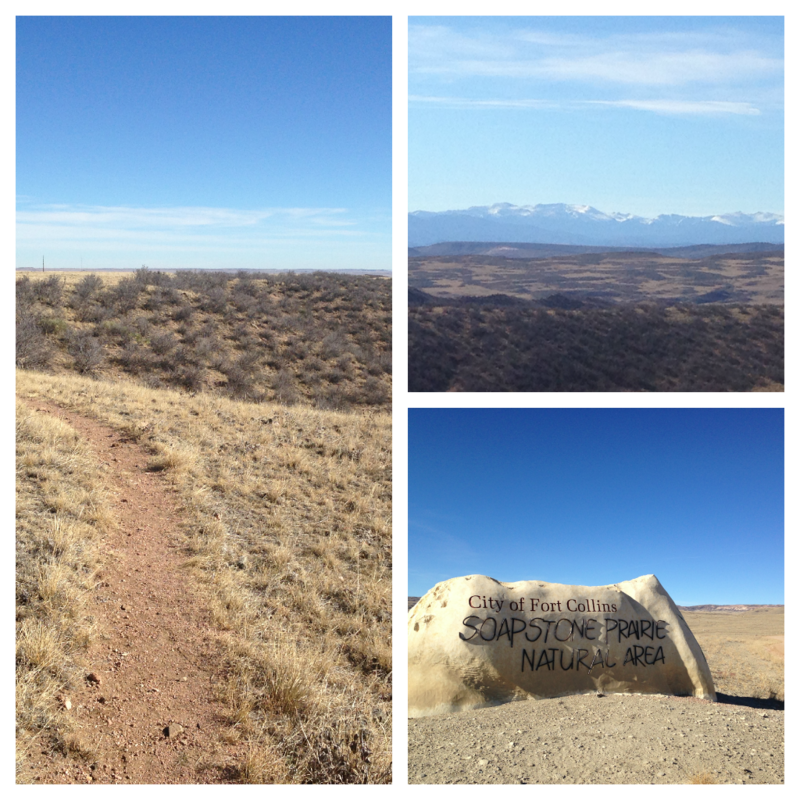 Categories: Colorado, Trails | Permalink.